Summer is almost here, and that means barbecues, sunscreen, and of course, pool parties. 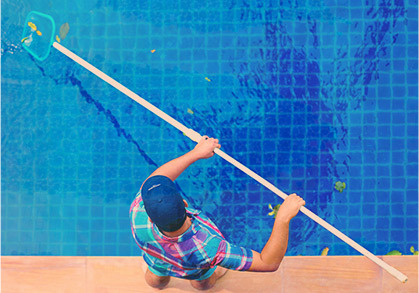 At Universal Pool Service, we want to maintain your pool to help keep your family safe and your pool sparkling. 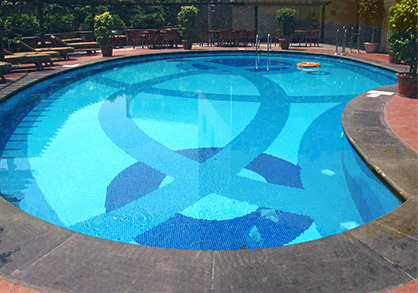 One of the most important aspects of maintaining a pool is ensuring the correct pH balance of the water. Potential of hydrogen, more commonly referred to as pH, is a scale that measures the acidity or basicity of any liquid. The scale traditionally ranges from 0-14, with anything less than 7 being an acidic solution, anything more than 7 being a basic solution, and pure water acting as a neutral at exactly 7. Humans are naturally around the neutral scale, and maintaining the correct pH balance in your pool is key to creating a relaxing and refreshing experience for you, your family, and your guests. Germs and Bacteria: Most pools should have a pH level around 7.4 (coincidentally, this is the same pH level of the human eye). This level ensures proper effectiveness of chlorine in killing germs and bacteria. If the pH is too low, the chlorine will dissolve too fast. If the pH is too high, the chlorine chemical will be rendered inactive. Skin Safety: If your pH levels are off, the pool water can cause irritation to your skin and eyes. This is especially concerning if you have kiddos. If you were anything like we were as kids, you probably spent hours swimming in the pool with your eyes open, only to emerge looking like you just squeezed jalapeno juice in your eyes — seriously, why did we do this? Swimming underwater without goggles isn’t the best idea to begin with, but doing so in a pool with unbalanced water can be especially irritating, and could also lead to infection if there is bad bacteria in the water. Corrosion: Imbalanced pool water can lead to corroding ladders and handrails, and more expensive fixes such as the liner, pump, and heater. This corrosion puts even more pollution into your pool water, and takes money out of your pocket. How Often Do I Need To Balance pH? We recommend checking and correcting your pH balance weekly. 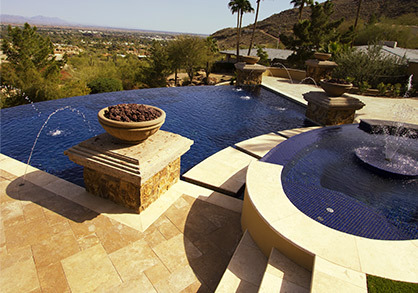 It doesn’t take long for pool water to get out of balance and start harboring bacteria. And with most people going years without fully changing their pool water, maintenance is key. We at Universal Pool Service want to take care of the weekly maintenance for you, so you can swim worry-free. Check out our list of services to see how we can help.